The What Could Possibly Go Wrong Award to John Macready. Again. Adeline Kenlin did her Podkopayeva! Or is it a Faux-dkopayeva? Fake inbar skills and fake dismounts: an oncoming epidemic? Did we like it anyway? The epic greatness of Trinity Thomas on floor, with a 2.5 stepout, a butterfly, and swashbuckling! Did Morgan Hurd really have a “bad” meet? The latest entry in the Morgiboo Book Club. Did Amanar problems hurt her worlds chances? 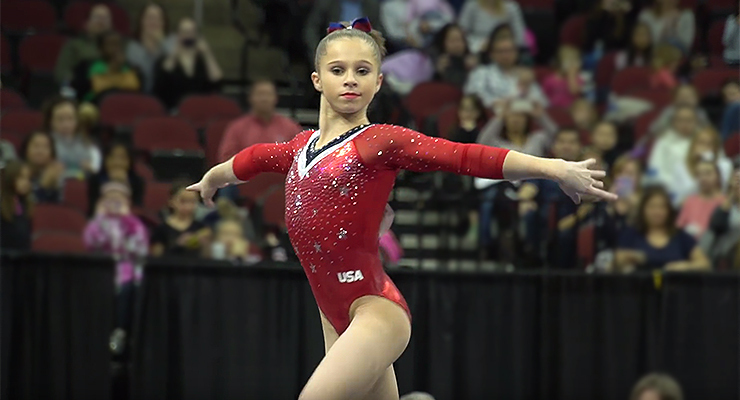 Ashton Locklear – where does she fit right now? And Spencer would like to know what’s the meaning of all this!!!! 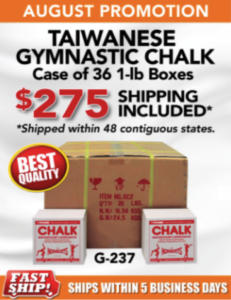 For the month of August, our dear friends at Norbert’s have a case of 36 1-lb boxes of Taiwanese Gymnastic Chalk for $275, shipping included. Thank you to everyone who participated in Beer with Betty! This week, we bring you the final installment in our epic 1996 Olympics TRILOGY: the event finals. 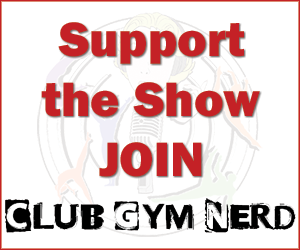 This episode is brought to you by Club Gym Nerd member Kris (who also commissioned the 1996 all-around final because of legendary status—the rest of us could never), who thought it only fitting that we leave no stone unturned and no competition un-dissected when it comes to the glory and wonder and pageantry of the 1996 Olympics. Correct. Thank you for supporting the show, Kris! You can watch the 1996 Event Finals along with us here. MO FREAKING HUILAN. END OF STORY. ARE THERE NO RULES FOR JOURNALISTS AT THIS MEET? 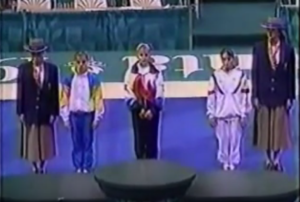 Is the current code inhibiting our appreciation of Podkopayeva’s bars? Are Tim and Elfi unnecessarily/undeservedly harsh on the Romanians compared to the other nations? The INNOVATIVE DIFFICULTY of co-silver medalists Amy Chow and Bi Wenjing. Who really should have won which medals? URGENT: What is Khorkina drinking? And is it a special bars potion? How many VHS tapes does it take to measure a beam? KOCHETKOVA WAS ROBBED. THE INJUSTICE WILL NEVER DIE. Should Simona “nutrocker” Amanar really have scored better than Dawes? We discuss. Did the judges actually get it right? WHEN: The hunt will start at 8am on Thursday August 17 and will end at 12pm on Saturday, August 19. The winner will meet with the Betty Okino at 3pm in Anaheim on August 19th! 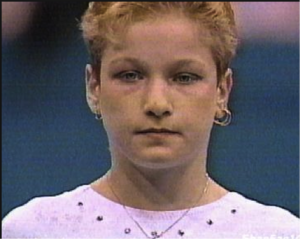 If you enter, be READY FOR BETTY because winner will meet this gymnastics legend at 3pm that day! The winner will be selected at random among everyone who completes all ten items.